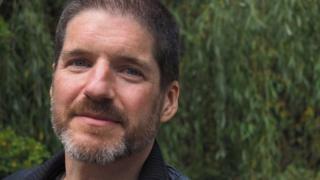 Artist Charlie Adlard, best known for his work on The Walking Dead, has been named the UK's new comics laureate. Adlard has drawn the Walking Dead since 2004 and has also worked on Savage, The X-Files, Mars Attacks and Judge Dredd. The artist, from Shrewsbury, Shropshire, said he was "delighted and deeply honoured" to take up the role. He said he wanted to "bring the wonder of comics to a wider audience" and use "the power of comics to encourage learning and develop literacy". He said: "Comics can connect with people who may never pick up a normal book and really help encourage a love of reading." Unlike the post of poet laureate, the comics laureate is not appointed by the monarch. The scheme was set up two years ago by the Comics Literacy Awareness Trust charity. A press release described the comics laureate as "an ambassadorial and educational role for the comic genre and aims to raise awareness of the impact comics can have in terms of increasing literacy and creativity". Adlard was selected by Comics Literacy Awareness Trust trustees and patrons of the Lakes International Comic Art Festival in Kendal, Cumbria. which takes place this weekend. He will take over from Watchmen artist Dave Gibbons, the inaugural comics laureate, in February. Gibbons said that since he was appointed in February 2015, there had been "an increasingly positive response from teachers and school librarians to the use of comics in schools". He added: "However, there is still work to be done and I look forward to supporting the new laureate from behind the scenes."